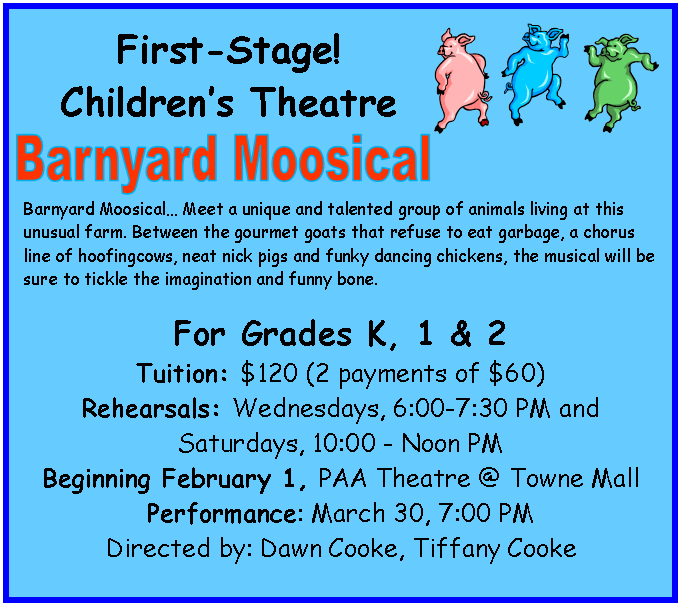 The new year will be bring new performances at the Performing Arts Academy (PAA). There are upcoming programs for all ages! 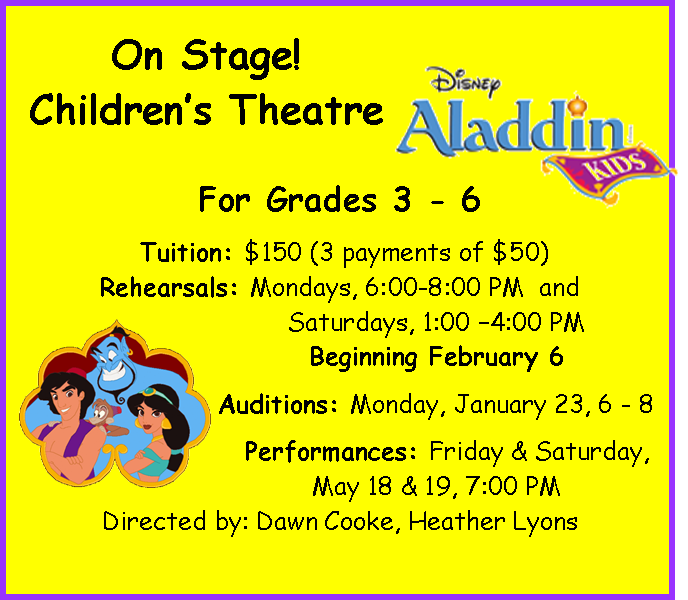 Auditions Monday, January 23rd, 6 - 8 p.m.
Auditions Tuesday & Thursday, January 17th & 19th, 6 - 8 p.m.
Audition scripts for Aladdin and Camp Rock are available at the PAA office at New Covenant Church, 4340 Union Rd. 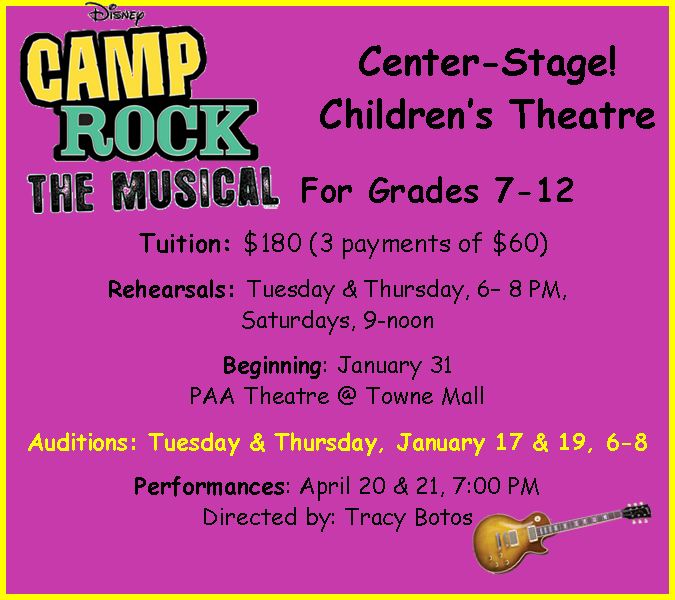 All auditions will be held at the PAA Theatre in the Towne Mall (2 doors from Bath & Body Works). Call 513-594-7242 for additional information.